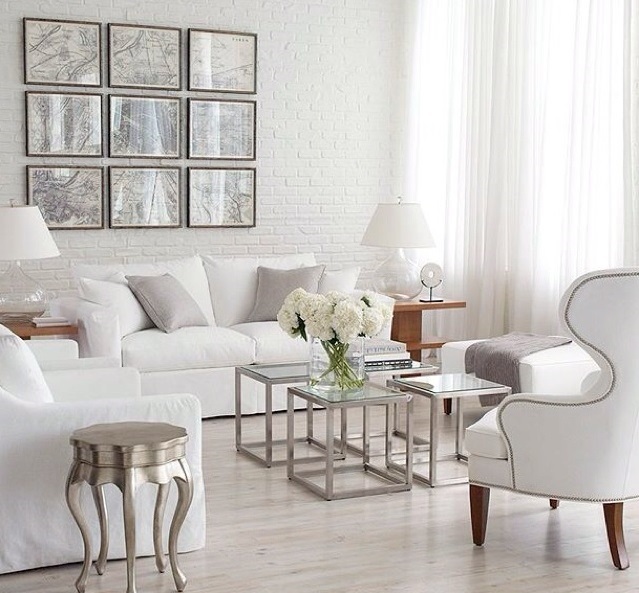 Lush Fab Glam Inspired Lifestyle For The Modern Woman: How To Create A Stylish Wall Gallery. How To Create A Stylish Wall Gallery. 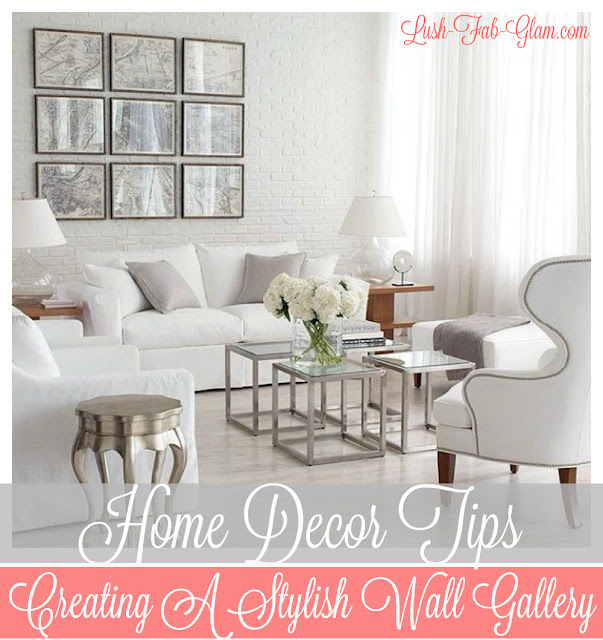 Home Decor Tips: How To Create A Stylish Wall Gallery. Spring is officially her and it's the perfect time for a fabulous home makeover with small changes that make a big impact in your home design. Our current home decor crush is the gorgeous wall gallery. It's an easy way to add instant glamour to any room and create a focal point to captivate guests and create conversation. Tip 1: Your entry way is the first thing that guests see when they visit your home, make a welcoming and stylish decor statement by creating a wall gallery above your console instead of displaying a single framed art or mirror. 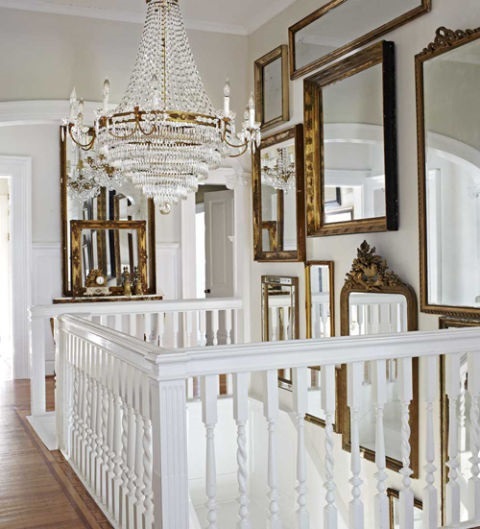 Tip 2: An antique brass mirror wall gallery adds timeless elegance to this stairway. 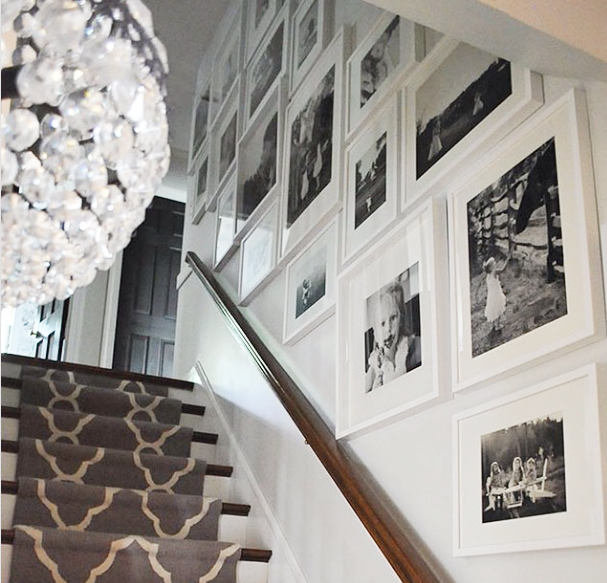 Tip 3:A stairway wall gallery is the perfect place to display beautiful family photos. 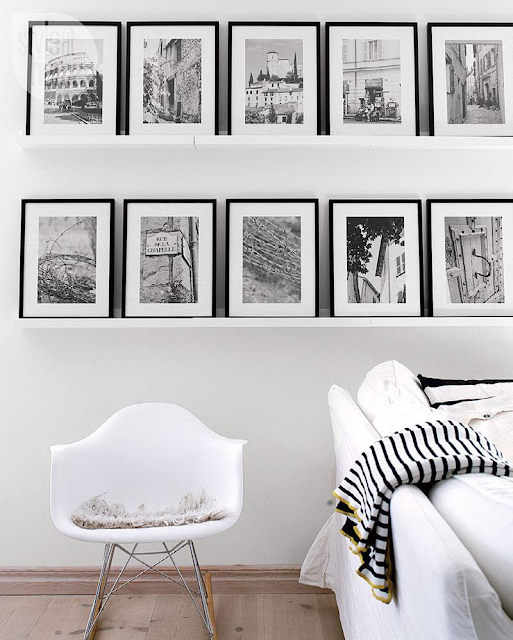 Tip 4:A great alternative to hanging individual photo frames is to display your photo gallery on floating shelves. This display style also fits better into a modern or city-apartment chic design aesthetic. Tip 5: Grouping your photos in an equal number of rows and columns creates a symmetrical wall gallery that's elegant and easy on the eyes. 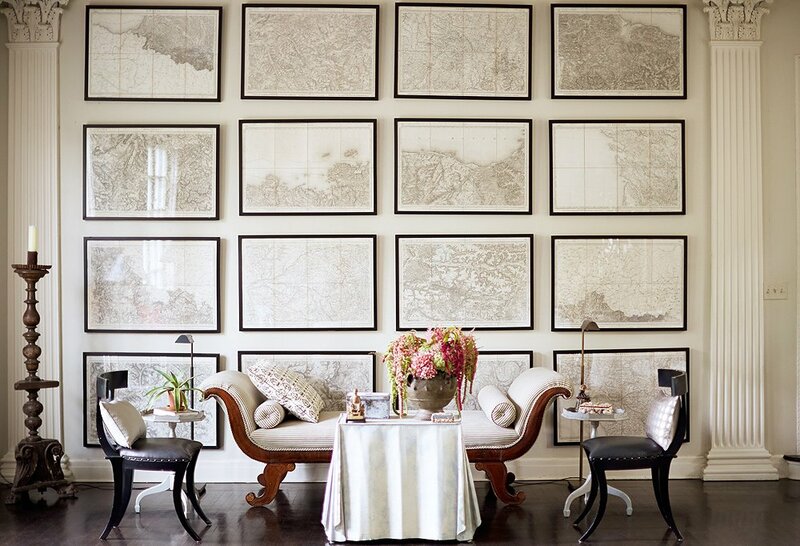 Tip 6: A wall to wall gallery is the ultimate modern decor feature and a chic alternative to traditional wall paper. 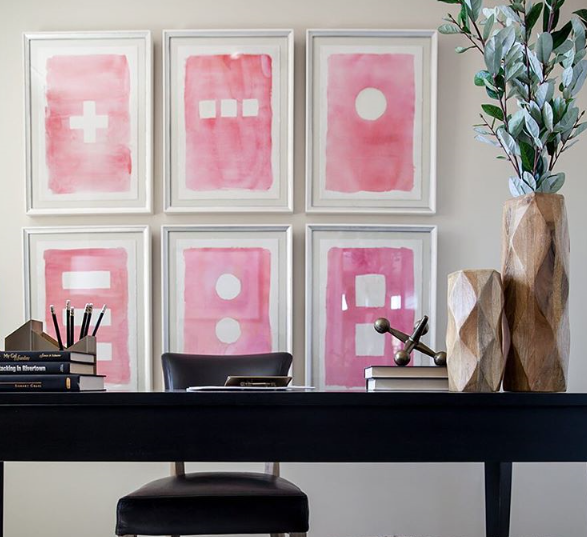 Tip 7: Your home or work office does not have to be boring or bland, a colorful wall photo gallery displaying abstract art or shapes is a brilliant way to jazz up work space. Are you a fan of the wall gallery decor trend and which featured wall gallery(s) do you love? Share with us by leaving a comment below. Love this post? Don't miss our fab tips, giveaways and more! Subscribe Here for your V.I.P access. It's FREE! Get Featured, Be Seen on Lush Fab Glam. Your product, service, brand, website, event or guest article can be featured in a Lush Fab Glam post like this one. Click here for details. I Love it so much. Beautiful.